If A Company Doesn't Do Duct Cleaning, They Can't Properly Do Mold! We are unfortunately still hearing of companies that are not addressing ductwork as part of a Mold Remediation project. This is an important step that is necessary in order to prevent cross contamination during and after the Mold Remediation work. As the Local Industry Leader in the indoor environmental industry, we are often asked to review work performed by other companies, and particularly in the case of Mold, are amazed at what is overlooked. Regularly, we find companies that have remediated a home following mold contamination (often involving some demo of large areas) following which the necessary repairs were completed. After all of this work is completed an HVAC system that was not properly cleaned is turned on, spreading mold spores yet again through the property. This is, quite understandably, a very frustrating situation for a homeowner. Imagine spending months of your life gutting, remediating, and repairing your home, only to be in a position that you may need to start this process all over again. 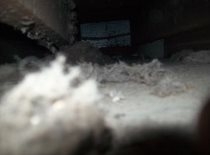 In addition to the possible damage further mold growth can do following recontamination, mold spores in the ductwork will still be spread through the home and could affect the health of those sensitive to them. 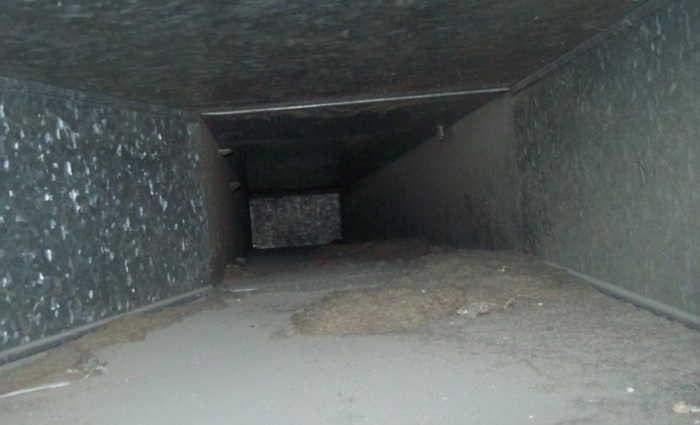 This is why it is recommended to have Ductwork properly cleaned as part of a mold remediation, and why it is strongly recommended to hire a full service company capable of performing not only the mold remediation, but also the necessary ductwork cleaning properly. We at Disaster Blaster understand the importance of completing a project fully and eliminating an indoor contaminant entirely. That is why we were the first indoor environmental company in the area to add duct cleaning to our services, and why we remain committed to proper and complete remediation of mold spores in your home and ductwork. Should you have a mold problem and would like us to take a look at it, please do not hesitate to Contact Us.